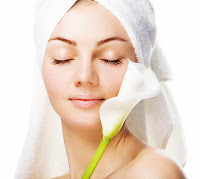 I just love skin care products and am particularly smitten with facial creams, lotions and potions. 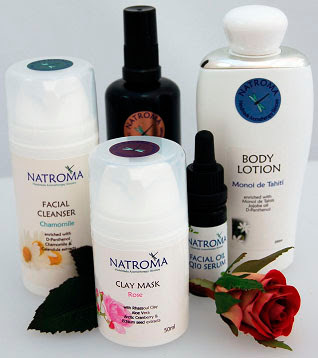 I recently learned of the launch of a new skin care range, Natroma from The Natural Soapworks, and I am really excited. Why am I excited? Well, I know that Sarah (founder of NSW and Natroma) is a stickler for absolute top quality ingredients, that you would expect to see on the labels of high-end commercial products. However, I also know that Natroma will contain these ingredients in high concentration – no skimping, no way! Here’s the beauty though, after browsing through the range, the prices are so very, very reasonable. Among the luxurious ingredients are the premium shea butter – nilotica, plant extracts (such as echium and arctic cranberry), luxurious nut and seed oils, D-panthenol, Co-enzyme Q10, hyaluronic acid, ginseng and other wonderful ingredients. The presentation is immaculate, the packaging simple and airless containers used where possible. This is skincare with a conscience, a soul. It has been created with exceptional attention to detail for what really matters – what’s inside (the bottle that is).